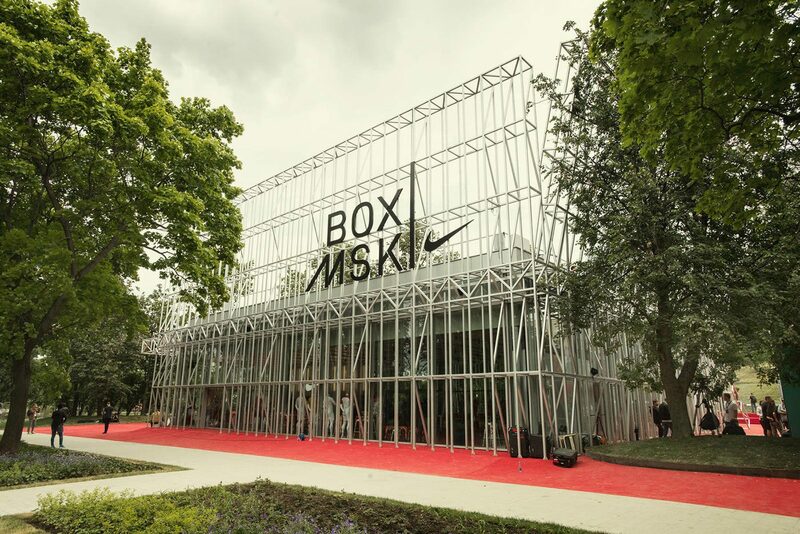 The Nike Box MSK is a newly established sports and cultural center in the heart of Gorky Park in Moscow. Providing crucial public amenities, Nike’s latest intervention blends in perfectly with the wider trend of brand urbanism. Launched in summer 2018, the sports facility seeks to promote an active lifestyle amongst park visitors and Moscow residents. The comprehensive sports complex includes an outdoor football court that was inspired by the notion of korobka (box). Traditionally, this is a small fenced football pitch that can be found in many residential areas throughout Russia. Apart from providing space for a variety of sports, Nike Box MSK has emerged as a creative hub and a space for culture and self-expression through curated programming and partnerships. 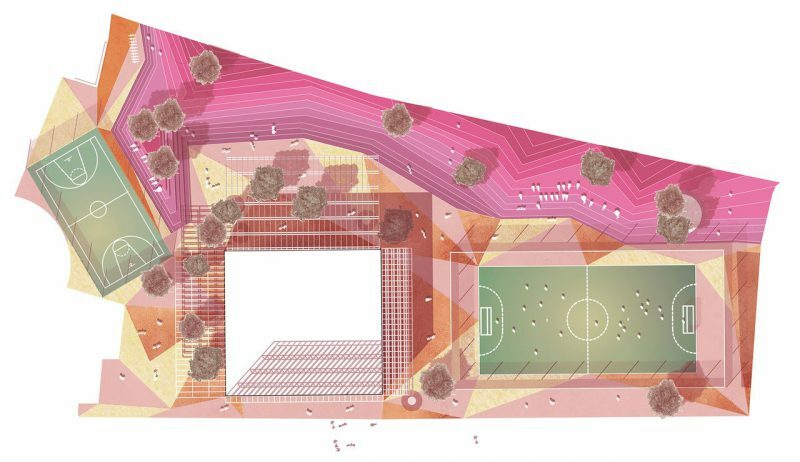 Nike and Strelka KB arranged a competition to come up with a functional model for a sports center to serve the interests of a broad spectrum of citizens with a wide variety of needs, as well as various recreational and urban communities. Drawing inspiration from the aesthetics of prefabricated Soviet modernist housing and industrial outskirts, Box MSK creates a functional public space integrated into the city’s most visited park. The Nike Box MSK blends into brand urbanism — an emerging trend in which brands allocate marketing budget to improve cities. 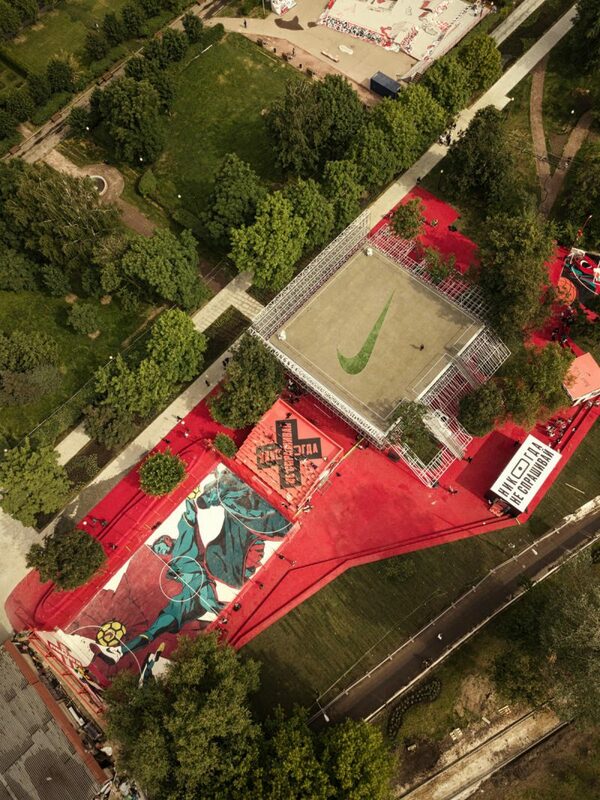 Nike has long been on the forefront of brand urbanism by merging their brand value with urban interventions for healthier cities. Some of Nike’s most renowned urban projects are the public basketball court installed in New York City and the Nike Biketown PDX bike-sharing system in Portland that was launched in July 2016. People in Amsterdam may have lately noticed a red metal clip attached to a few public benches. Tucked into the clip one may then find a book, a magazine or a mere flower that is to take, to read and to share. What’s behind it? Clearly, these public benches have been transformed into a Ruilbank (Dutch for ‘Barter Bench’), a project by Pivot Creative. Public benches stay wet after the rain has gone, and no one likes wet buttocks. South Korean-based designer Sung Woo Park came up with a solution that always offers a dry seat.